The school is located in the 16th district of Paris, very close to the Trocadéro where one has the best view of the Eiffel Tower. There are two classrooms for the different courses and a private courtyard with garden, which one can use when weather permits for lunch or coffee break. There are many restaurants, bakeries, supermarkets and take out cateres around our school. Free coffee and tea at school. A broadband WIFI is available at school . Free of charge. 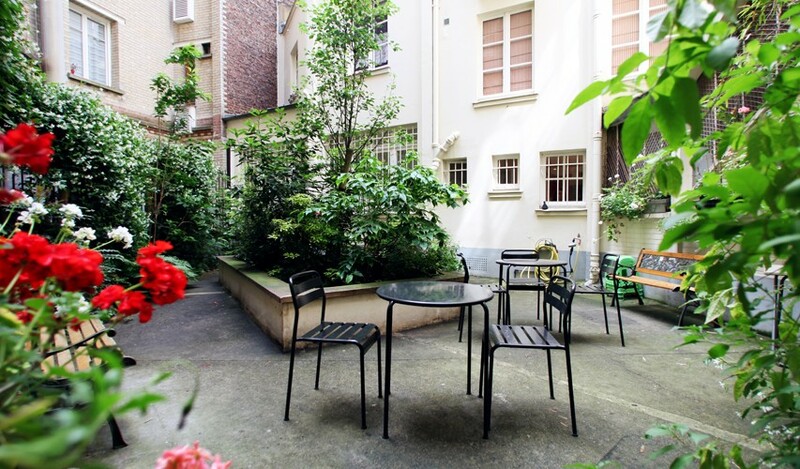 The school is located in a pleasant part of Paris easy to reach by metro or bus. Each classroom has a platform with a TV screen High Definition to show the demonstration in the morning. 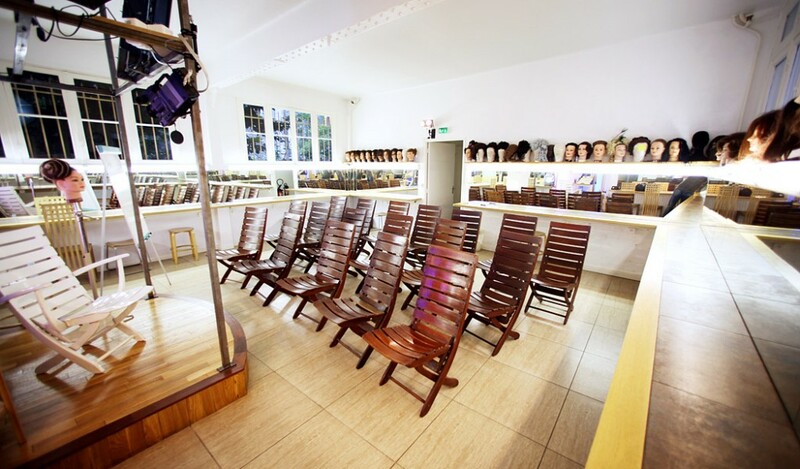 Of course, the classroom where the Hairstyling for Spectacles course takes place , has the electrical outlets necessary. In the make up classroom we have the possibility to change the electric lights into cold for day or warm for night. La cuisine est équipée d'un réfrigérateur et de micro onde. Café et thé sont en libre service. Plusieurs espaces communs vous accueillent pour la pause.